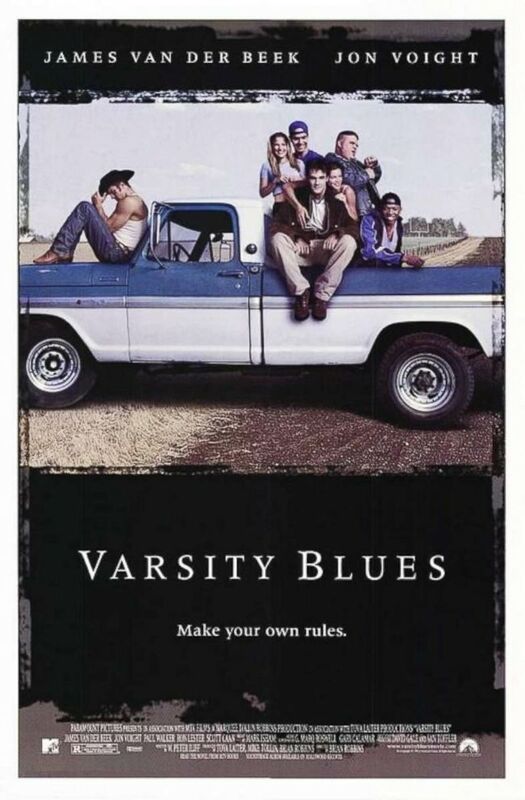 "Varsity Blues," the classic film about a high school football team in a small town in Texas, turns 20 years old today. The film helped launch the careers of many notable actors and actresses, including James Van Der Beek, Ali Larter, Scott Caan, Amy Smart, the late Paul Walker and the late Ron Lester. Actress Ali Larter, who played Darcy Sears, the head cheerleader in the film, spoke to "Good Morning America" in December about the film's impact in shaping her career and in popular culture. "I loved playing Darcy. I loved that she was trying to find her way out and kind of owned up to the mistakes that she made," she said. "And I loved that the movie represented a place in time for a lot of people, in that small town football mentality." In one of the most famous scenes from the film, Larter dons just a whipped cream bikini in an attempt to seduce a player on the team. Larter said that though many years have passed, the film still draws a massive response. "People still love it and come up to me all the time," she said. "It’s also bittersweet knowing that we’ve lost a couple cast members at this point, but I think back on those times and they still feel so fresh to me." Her former co-star, Ron Lester, tragically passed in 2016 at the age of 45, and Paul Walker, who also starred in the film, died in 2013 at the age of 40. Larter still keeps in touch with Amy Smart, who played Jules Harbor, the girlfriend of the team's quarterback, Mox, played by James Van Der Beek. "I was just with Amy Smart yesterday," Larter said. "She’s still a dear friend of mine." "You know, you see the cycles of life, and the people that come into your life -- the different kind of things that you work on that really change the trajectory of it," she added. "That was my first movie, and it kind of sent me on this journey in this business." She still has fond memories of her time on set. "I just remember always sneaking up on Scott Caan and Paul Walker, seeing like what girls they were dating," she said. "We’d all go to this lake and swing on the ropes at night and go swimming," she continued. "We were all just a bunch of kids making this movie down in Austin, Texas, and so all the revelry that comes with that was there." "It was just really special," she added. 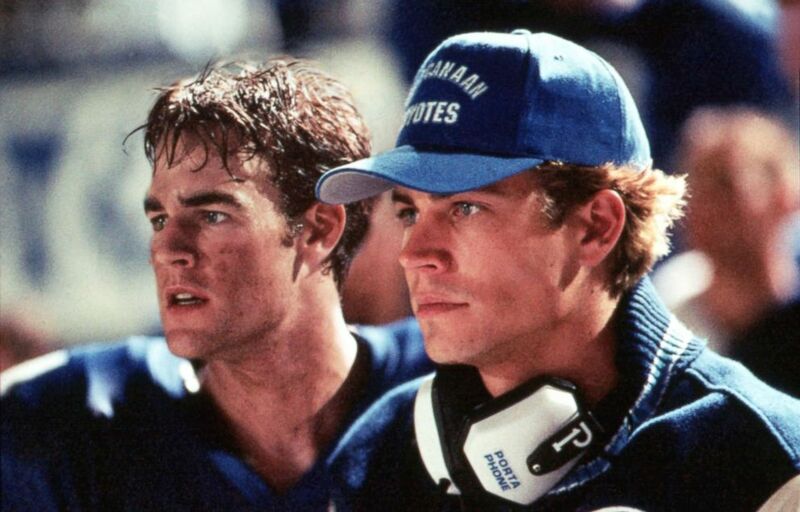 James Van Der Beek and Paul Walker star in "Varsity Blues," 1999. Larter believes that the film afforded her special opportunities. "The way that the business is structured is that, you know, when you have a hit movie, people want to put you in more. So it kind of launched me into that," she said. "I’ve had so many different kind of moments like that in my career, from doing that and then having "Legally Blonde" and then I moved back to New York and took a couple of years off," she added. "Then came back with 'Heroes.'" She currently stars on ABC's "Splitting Up Together" as Paige, a single mother that shakes things up with her unique parenting style. Larter is also developing and starring in a show based on a novel with Red Hour Productions. Details surrounding the project haven't been released yet.